I think we should take our blessings into account throughout the entire year. But, I know Thanksgiving and the Fall season are when people are most vocal about what they're thankful for. A Very Thankful Prayer is a board book for young children that depicts different things they might be thankful for, especially throughout Autumn. Written in rhythmic form and illustrated with cute animal characters, A Very Thankful Prayer talks about thankfulness for farmers' fields, family, pumpkin patches, cozy fires, and more. This book opens up communication about being thankful, giving prayer, and enjoying this season. 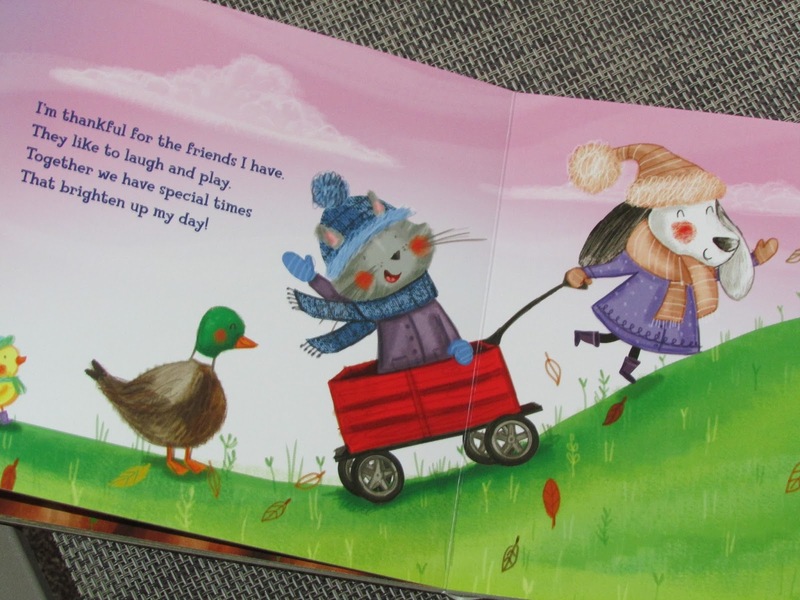 One person will win A Very Thankful Prayer children's board book. I am thankful for a family that I love and loves me. I am thankful for a loving husband. I am very thankful for my daughters. I have the best, most compassion daughters! Love them all very dearly! Thankful for friends and family! I am thankful for our grandchildren. I'm thankful for my husband. Tomorrow we will celebrate our 44th anniversary. Through thick & thin we are still together forever! I am so thankful for my three healthy children. I am thankful for my husband and family and that I had my father in my life as long as I did. I am so beyond thankful for my wonderful fiance and our three children. We are thankful for family! I am thankful for my family and good health! I am thankful for my family and friends and for God in my life! I am thankful for my beautiful family. I am thankful for the generosity of my parents. This week I am very thankful for a house with a working furnace. I am thankful for my children 💜. I'm thankful for healthy family & friends.